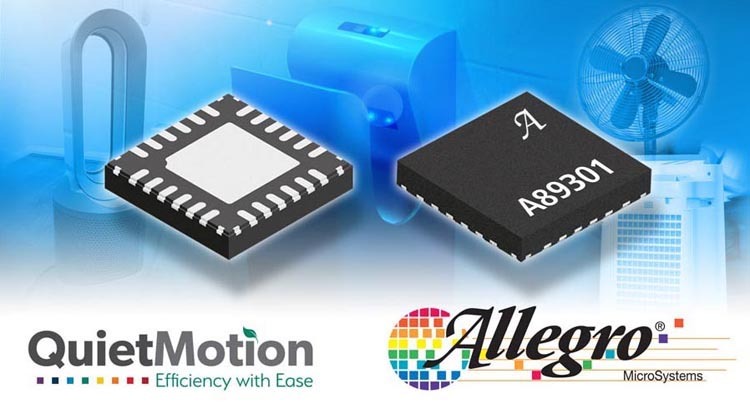 The first member of Allegro’s QuietMotion family is the AMT49406, which is an ideal solution for applications that demand high efficiency and low acoustic noise – such as pole and ceiling fans, humidifiers, dehumidifiers, air purifiers and exhaust fans. 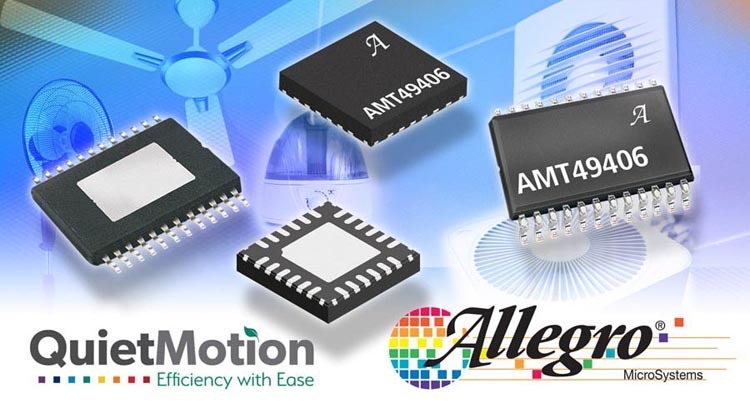 With its embedded proprietary windowless sinusoidal algorithm and soft-on-soft-start algorithms, the AMT49406 provides reliable, industry-leading audible noise performance. The AMT49406 and the A89301 have a 5.5 to 50 input voltage rating with an operating range of –40 °C to 105 °C. They are available in a 24-contact 4 mm × 4 mm QFN with exposed thermal pad (suffix ES), and a 24-lead TSSOP with exposed thermal pad (suffix LP). These packages are lead (Pb) free, with 100% matte-tin leadframe plating.